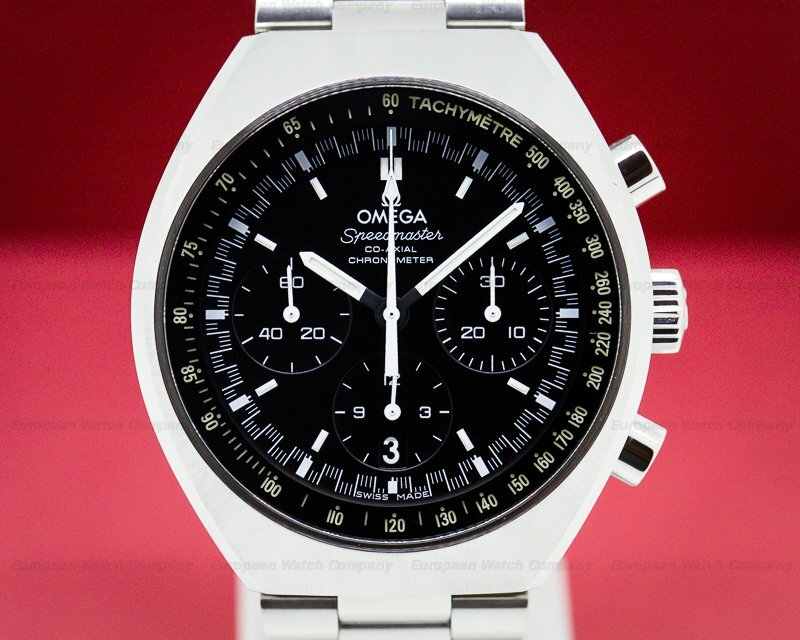 30303 Omega 105.003-65 Speedmaster "Ed White" 10500365 105 003 665, original stainless steel case is in excellent condition and lugs are full and defined, manual wind Omega Caliber 321, original black dial with applied metal Omega logo, dial and hands are appear original and have aged uniformly, correct dot over 90 bezel is in excellent condition and has developed a nice "ghost" fade, hesalite crystal with omega logo still visible in the center, flat foot crown, original dust cover, 240M movement serial (1965), diameter: 39mm, thickness: 13.5mm, Excellent Condition for an Omega Ed White example with, European Watch Company travel pouch and 6 month warranty. 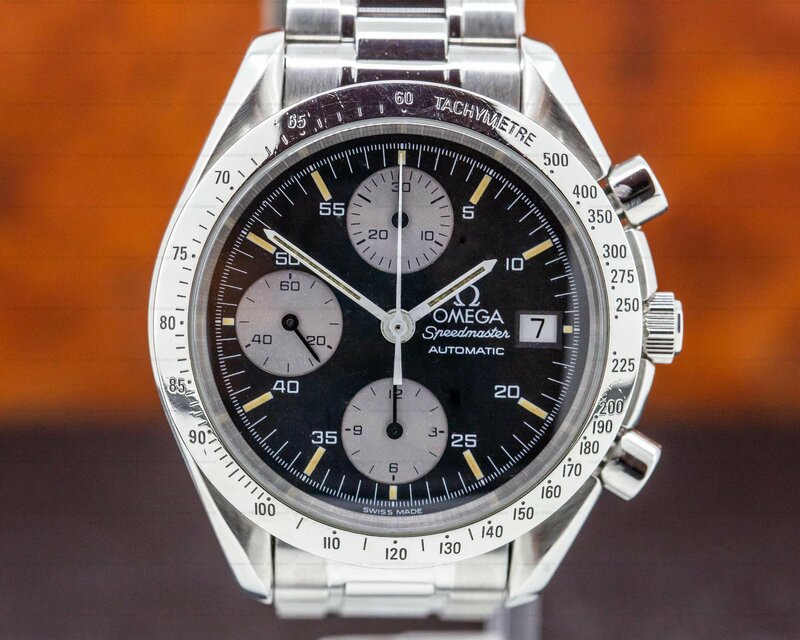 This is a vintage c. 1965 Omega Speedmaster Professional "Ed White" 105.003-65. 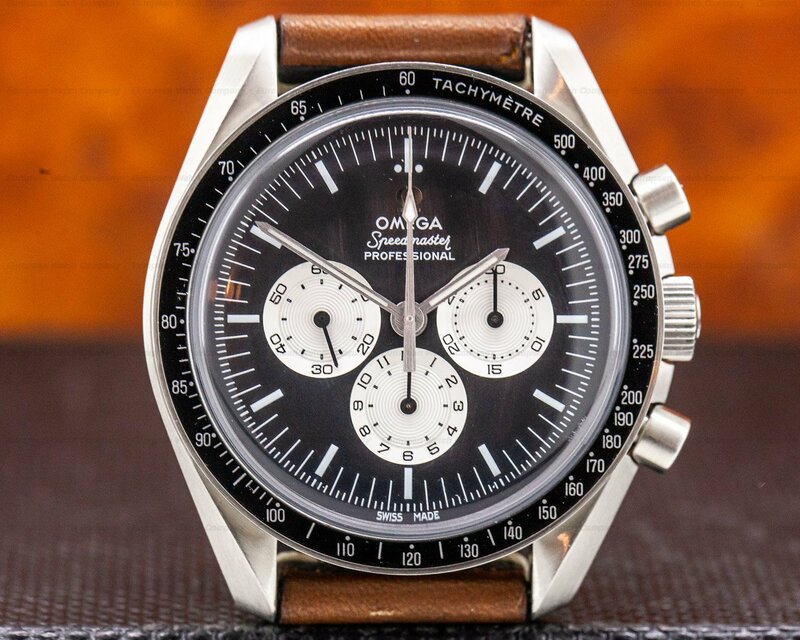 There is a "Dot over 90" tachymeter measuring 500 UPH on the bezel. 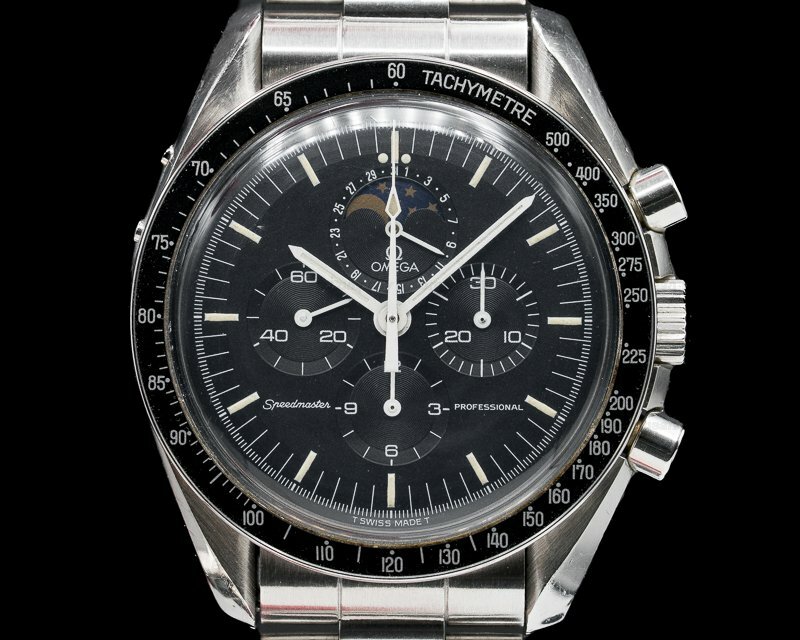 There is a single-step screwed-down original pre-moon case back engraved with "Speedmaster," the Omega symbol, and the hippocampus logo. 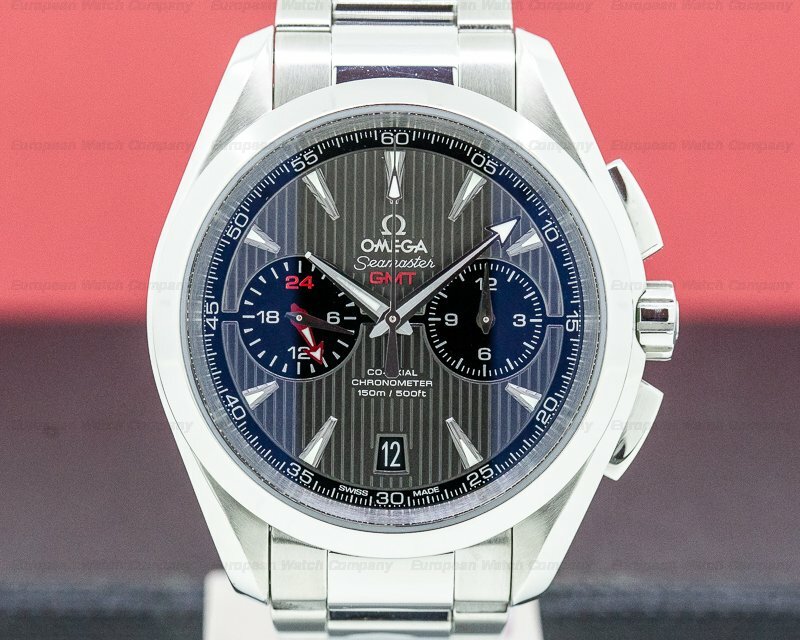 Inside the case back is the Omega hallmark and reference number. There is an antimagnetic dust cap that fits over the movement, and it has round chronograph pushbuttons and a "flat foot" winding crown. The 39mm diameter solid three-body case, integral lyre lugs, and case back are polished/brushed. 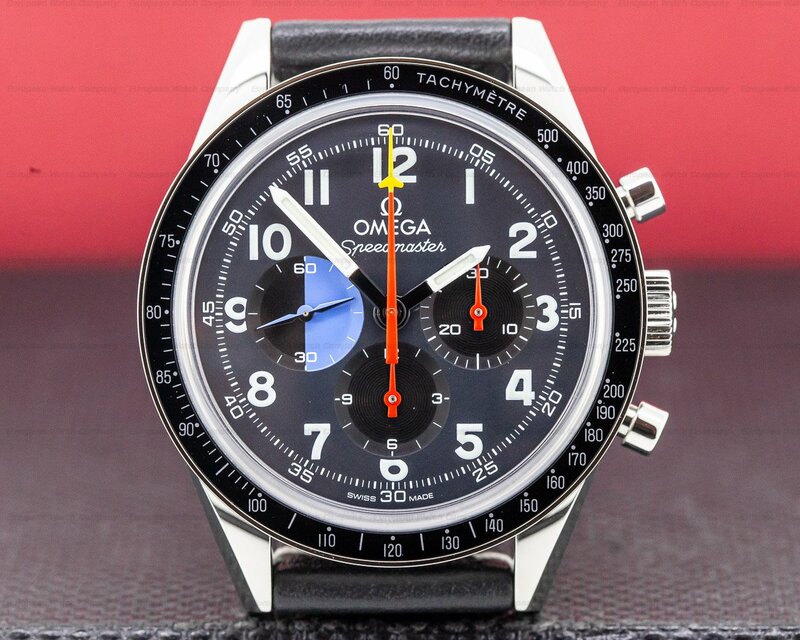 It has the original dial with luminous white baton hands with baton hour index markers. 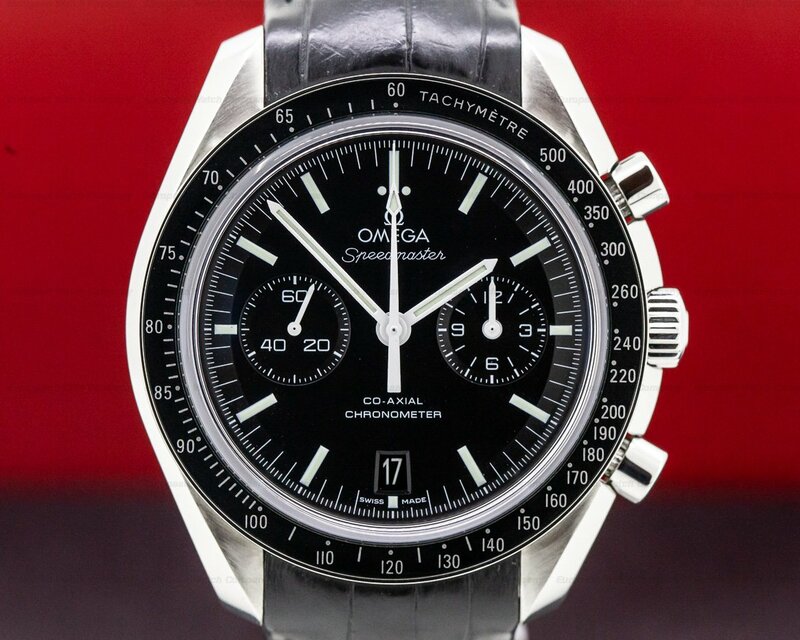 There is a white center arrow-tipped chronograph seconds hand, and a perimeter minute/one-fifth second scale. 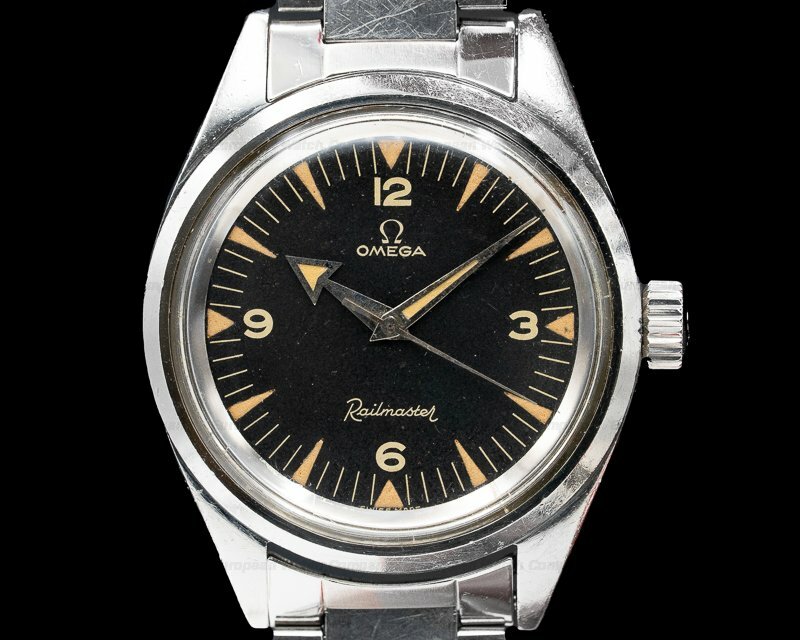 There are 3 recessed black subsidiary dials with luminous markers and hands, including one for the constant seconds at the 9 o'clock position, a 12-hour register at 6 o'clock, and a 30-minute dial at 3 o'clock. The 13.5mm thick case, dial, and movement are all signed. 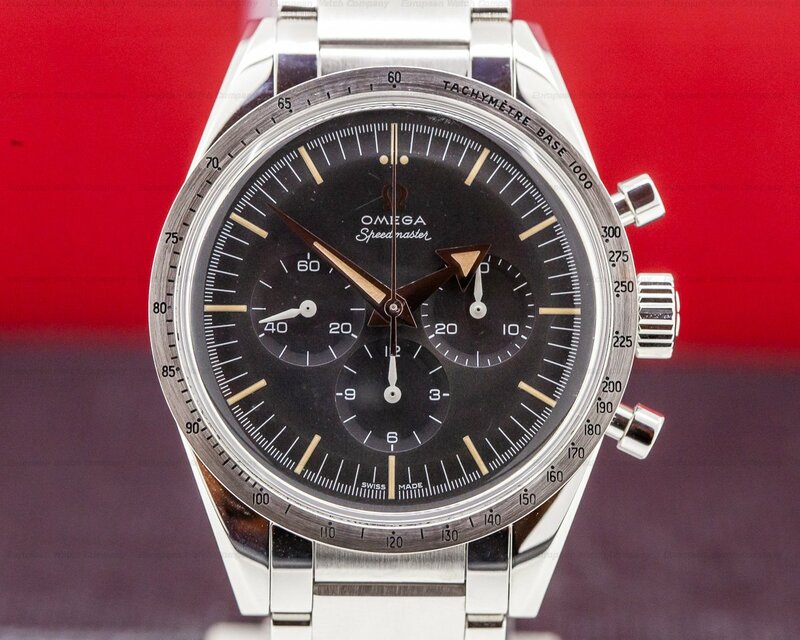 This Omega Speedmaster Professional "Ed White" 105.003-65 has a mechanical manual winding Omega caliber 321 column wheel chronograph movement that's copper-colored, with 17 jewels, and a shock absorber device. 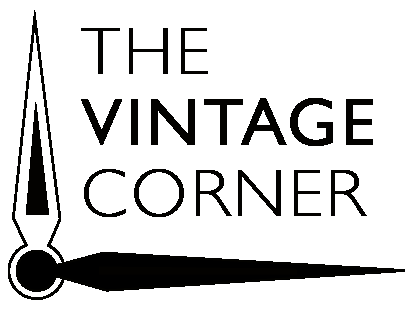 It includes a straight-line lever escapement, an anti-magnetic monometallic balance, a self-compensating flat balance-spring, and an index regulator. 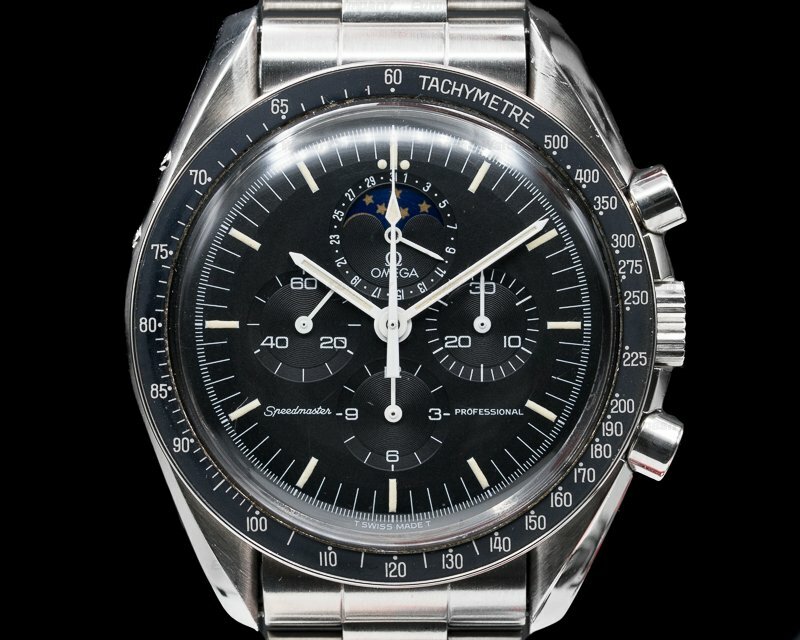 This Omega Speedmaster Professional Pre Moon, reference 105.003-65, was produced from 1963 to 1966.